Surgical hair transplant includes Trichophytic Strip technique (TST - FUT) which is scar less, S.A.F.E. FUE Neo Graft (SFUG), Laser Assisted Scar Less FUE with minimal discomfort. 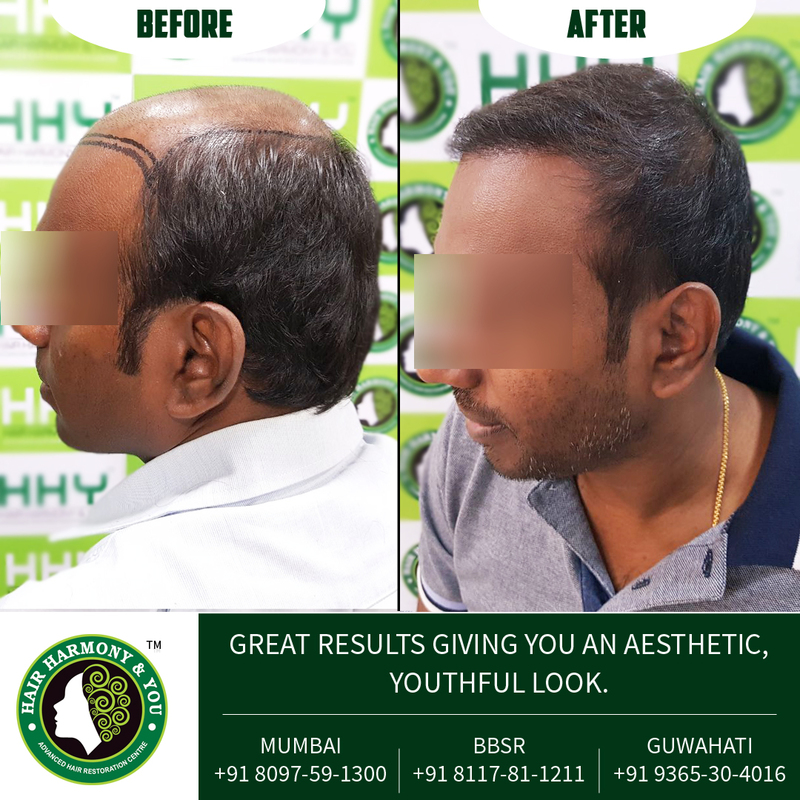 Hair Harmony and You has most experienced team in surgical hair transplantation which bond to give you best gold class service and make you happy with a better result of hair growth and cure your baldness "YOU DESERVE TO BE HAPPY". In the modern era FUE & FUT are the commonly used techniques for hair transplant by all surgeons, In case of FUT very less surgeon who leaves a minor scar we are among them who not only give minimum to minor invisible scar. We also extract 1:3 hair follicles in case of FUE it means we extract 1 hair and leave 3 hairs so the donor area will be almost same as before extraction. They won't be any dotted scar after a month extraction because we use a very fine instrument to remove grafts. We also used the solution which can increase the time of graft surveillance so maximum number of grafts can be implanted in one sitting. Post implantation we give a free follow up for scab removal due to this hair growth will be good and death of hair follicle is Minimize to no.